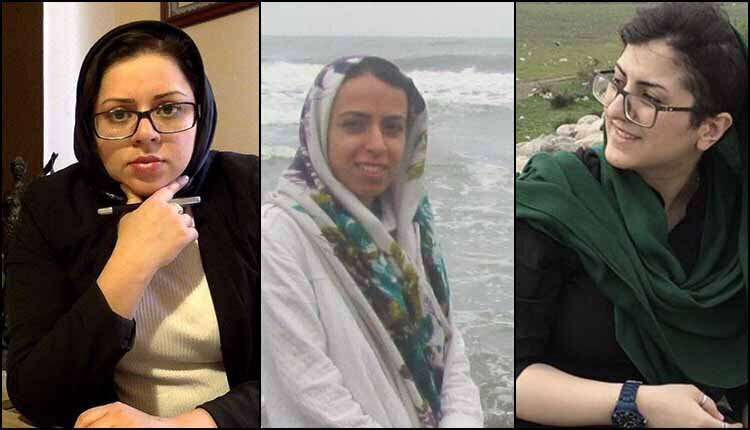 No information is available on the charges and whereabouts of women’s rights activists Hadi Amid, Najmeh Vahedi and Rezvan Mohammadi. Women’s rights activists Hoda Amid and Najmeh Vahedi were arrested in their homes by the Islamic Revolutionary Guard Corps (IRGC) Intelligence Organization in Tehran on September 1, 2018 and taken to an unknown location. Their arrest took place three days before they were scheduled to host a workshop on Iran’s marriage laws. Reza Vahedi, the brother of Najmeh Vahedi, has announced that the only contact with Najmeh Vahedi after her arrest was on Tuesday, September 4, 2018, during a one-minute telephone call where she stated that the reason for her arrest is unclear and her status is undetermined. “Eleven days after Najmeh’s arrest, we still have no information about the reasons for her detention and her condition, and this has become a concern for us. Despite repeated follow-ups, we still do not know the status of my sister,” Reza Vahedi said. A few days following the arrest of Najmeh Vahedi and Hoda Amid, Rezvaneh Mohammadi, a gender studies student and woman’s rights activist, was arrested on September 3. All three women were involved in training workshops for women’s rights in marriage contracts and other peaceful activities related to women’s rights. No information regarding the charges or where they are being held have been disclosed, and the families have been denied visitations or phone calls. Amnesty International issued a statement on September 3, 2018, warning that the arrests of lawyers and women’s rights activists in Iran signal intensifying crackdown on civil society. “These latest arrests are a blatant attempt to silence those advocating for human rights in Iran,” said Philip Luther, Amnesty International’s Research and Advocacy Director for the Middle East and North Africa.